Venomous reptiles may provide a good source for new drugs for human diseases, British researchers in Liverpool say. Researchers compared the genomes of venomous snakes and lizards to see how the animals’ venoms had evolved. They said it was an “unexpectedly dynamic” process, with chemicals in venom being formed through evolution and then later being adopted by parts of the body for other uses. 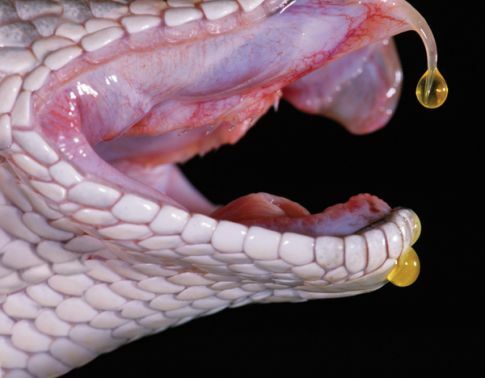 “The venom gland of snakes appears to be a melting pot for evolving new functions for molecules, some of which are retained in venom for killing prey, while others go on to serve new functions in other tissues in the body,” he said. The nervous system is another similar area. The challenge has been to overcome the toxic effect of the toxins. “This means that drug developers have had to modify toxins to retain their potency and make them safe for drug use,” said Dr. Nicholas Casewell. However, the scientists involved in the study believe nature may have already done the hard work, with reptiles making the toxins safe for their own use. Dr. Nicholas Casewell said it would be a “whole new source” for drug discovery.